April 18, 2018 3:18 pm. 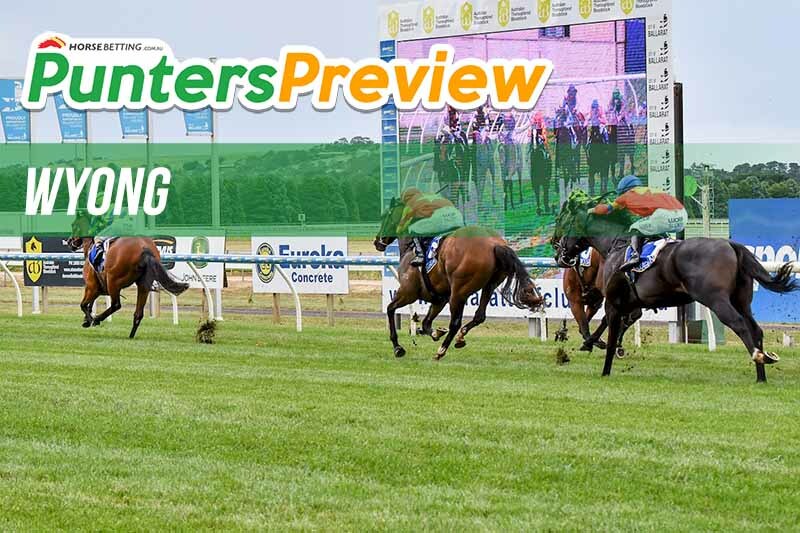 WYONG is NSW’s racing venue this Thursday and a rock-solid eight race card awaits punters. All the focus should be on Wyong for Thursday afternoon, and we’ve saved you the time and effort by doing the form for all eight events. Let’s take a look at which runners we’re favouring. Looking for a new bookmaker ahead of Wyong? Take a look at the banner below see our best bet of the day and to also take advantage of Ladbrokes’ sign up bonus. Cormac is fresh coming into this event and will be hard to beat. The horse showed great improvement across its opening preparation, making up ground across all three starts and we think it has the ability to win this one while resuming. It’s only a matter of time before Dashing Special breaks through. In its last seven races the horse has been in the money, and the four-year-old has finished second in three of its last four. Fudgewedge is resuming after its one career run resulted in a narrow defeat as a $41 outsider. The filly trialed well at Gosford leading into this race and looms as one of the main dangers. There’s been plenty of buzz around Deft after a number of decent trial form and we’re backing it in to win on debut. In a race where only stablemate Taniko looms as a threat Deft looks a good thing at the first ever attempt. Jackknife comes into this race on the back of a strong win at Wellington at BM55 level, and while this is a step up in both class due to grading and country-to-city, we believe it can win once again. From barrier three it will be right in the mix and the price is too good to ignore. There’s big odds about consistent type Parnossos, and we’re thinking it can deliver at a big price. In three of its last four runs the horse has finished second, two of those was within a length of the winner. This appears within the Parnossos’ grasp. Heat Haze looms as one of the better bets of the day. The horse finished off last preparation with a solid maiden win, and has trailed soundly leading into this race. From the ideal draw Heat Haze is going to be hard to hold out. Montrachet returned in great order at Rosehill on April 2, winning by a length and a half in a competitive maiden. The Hawkes runner was quality that day and has the ability to back that win up.